Thumba Preethiso Song Lyrics | Huchcha 2: Thumba Preethiso is a song from an upcoming 2018 Kannada movie Huchcha 2, directed by Om Prakash Rao. The film was produced by A M Umesh Reddy under the banner Sri Renuka Movie Makers. Huchcha 2 features Darling Krishna, Sharvya, Maalavika, Avinsh, Saikumar and Others. This film seems like a remake of 2005 Tamil movie Raam starring Jiiva directed by Ameer. The Tamil film was also remade in Hindi as Bolo Raam. Director of this movie N. Om Prakash Rao has directed about 25 films in Kannada. His father N. S. Rao also an actor in Kannada film industry. some of Om Prakash Rao’s notable works includes movie like AK-47, Lockup Death, Simhada Mari, Huchcha, Kalasipalya and others. Aanand Audio is the music label of this movie. This song was composed by J. Anoop Seelin with lyrics written by one of the most happening lyricist in Kannada V. Nagendra Prasad. Thumba Preethiso song was rendered by Shreya Ghoshal. Check out the lyrics here.. I am Anu from Bangalore. I love Music, Books and Traveling. we created lyricsraaga with the intention of providing lyrics of your favorite songs. I am doing my best to contribute to this portal as much as I can. Hope, you all support us. Keep visiting our portal for more Kannada song lyrics. Your opinions and suggestions means lot for us to improve this site. 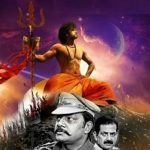 lyricsraaga.com is created with the intention of providing the lyrics of Indian movie songs of different languages including Tamil, Kannada, Telugu, Malayalam and Hindi. All lyrics on this website may only be used for private study, scholarship or research. It is only for Educational purpose. All lyrics are property and copyright of their owners.